[HollywoodInvestigator.com] Retired Beverly Hills hero cop Robert E. Downey remains haunted by his most mysterious unsolved mystery -- The Case Of The Missing Elvis Pipes! That's shocking finding found by The Investigator during an exclusive live interview with the retired hero cop. The mystery began in 1964, when The King presented his manager, Colonel Tom Parker, with "a set of seven hand- carved tobacco pipes in a padded presentation case," said Ret. Detective Downey. Three months later, burglars broke into Parker's Beverly Hills mansion on Maple Drive and stole the pipes. Although the pipes were small potatoes when compared to Parker's total estimated loss of $5-10,000, they were what Parker missed most. Parker described the seven pipes as having "walnut burl bowls, and being hand-carved in a distinct manner." He did not say how the carvings were distinct. The pipe case bore a brass presentation plate, but Parker did not describe the exact wording. Today, in 2001, the pipes and presentation case remain missing. Downey believes they may have ended up with some unknown private collector. 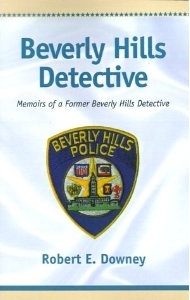 Downey was the detective assigned to the Parker burglary, an episode he relates in his memoir: Beverly Hills Detective -- a gripping behind-the-scenes police procedural that reads like a true-life Dragnet! During his 12 years on the Beverly Hills force, Detective Downey investigated many celebrity cases -- but none more heartrending -- or bizarre -- than the missing Elvis pipes! In an August 2001 interview, Downey said: "Those pipes were a special, personal gift from Elvis Presley to the man he credited with bringing his music to the public. 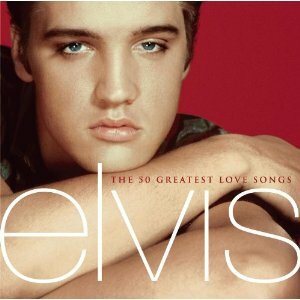 Elvis Presley's music has brought so much joy into so many lives. It just breaks my heart to think of those pipes in the hands of some slimeball private collector. In a way, black market collectors are worse than burglars and fences, because they're cowards who get others to do the dirty work, and take the risks, for them. "I want the public to know the vast majority of cops are honest, hard- working men and women. That's one reason I put so much sweat into writing Beverly Hills Detective. But on top of that, if my book can help return those Elvis pipes to their rightful owner, and bring justice to the creeps who stole it, then my labors will have been rewarded. "I know from my 40 years in law enforcement that crooked collectors like to brag about their loot. They like to show it off. So somebody else out there has seen those pipes -- probably not realizing he was looking at stolen property. Maybe a lot of somebodys. It's my hope that sooner or later, one of them will read about those pipes in my book, or maybe in the Investigator. When that happens, I hope they'll do the right thing and turn in the creeps who stole a part of Elvis Presley's legacy. "Colonel Parker was a true gentlemen, very considerate. Now that he's gone, I don't know who'd be the rightful owners of those Elvis pipes. Who knows? They might end up on display in Graceland. Then all of Elvis Presley's true fans can enjoy those pipes, not just some black market collector hoarding those pipes to himself. He may think he's an Elvis Presley fan, but in my book, if you steal from someone, or buy their stolen goods, you're no fan." Soon after the burglary, some of Colonel Parker's stolen property was recovered by the Santa Monica PD -- but not the Elvis pipes! Parker's stolen property was found in cardboard boxes in a Santa Monica apartment, along with stolen items from other burglaries. Harold David Brown, an Illinois man, was later convicted of the burglaries. Brown said he last saw the Elvis pipes and presentation case in one of the cardboard boxes. However, the pipes and presentation case were not reported to be found among the stolen items at Brown's Santa Monica hideaway. The fate of the stolen items that were found is bizarre. Said Downey: "Because the items found in that Santa Monica apartment were stolen from Beverly Hills, I was sent out to Santa Monica to help identify those goods. But when I got to the Santa Monica police station, the officers in charge wouldn't let me examine the stolen items up close. The SMPD made me, a fellow cop, stand in the doorway! They said I had to I.D. the items from there, not up close, because they had not finished 'inventorying' them. 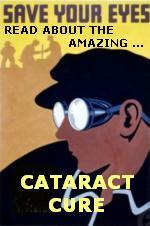 "So from that doorway, I identified a jewelry box that was stolen from a Mrs. Hallstrom. The jewels were gone, but I told an SMPD officer that the box should contain a secret compartment with a 3 carat diamond ring. The officer entered the room, then blocked my view while he examined the box. He then called back, saying he had found the secret compartment, but there was no ring inside. "'The burglar must have found it,' he said, 'because it's empty now.' But then I saw this cop leave the room with his fist closed, like he was holding something. "It was strange. The Santa Monica police in charge were uncooperative throughout the investigation. They dragged their feet about providing the Beverly Hills PD with a final inventory of stolen goods found at the apartment. They made it tough for the victims to identify their own property. "When I drove some of the victims to Santa Monica to identify their property, the SMPD wanted them to do it from the doorway too. Eventually, some of the victims had to hire attorneys to get their own property back from the police department! "I talked to Harold Brown's girlfriend. She had had access to the cardboard boxes of stolen goods in Brown's Santa Monica apartment. I was surprised to find that the SMPD had given her the impression that she was not to talk to other police departments. It was like the SMPD wanted to keep all information about the stolen property to itself. "We know that Harold Brown stole those pipes, and that some of his loot ended up in Santa Monica, and was recovered by the SMPD. Brown said he last saw the pipes in one of the cardboard boxes. His girlfriend said she'd never opened any of the boxes. Myself and my partner believed the girlfriend. "Whatever became of those pipes? Who has them now?" Although Downey's met many celebrities during his 12 years on the BHPD, he dedicates Beverly Hills Detective to Diana, his wife of 44 years. Says Downey: "Cops' wives put up with lots pain and sorrow, heartache and anxiety. They're the real heroes, in my book. Without them and their support, we wouldn't be able to do our jobs." During his 40 years in law enforcement Downey has also worked for the Oakland PD, San Juan County Sheriff's Department in Washington State, and the US Customs Service. He and his wife currently reside in Clearlake Oaks, California. YOU CAN HELP RIGHT ELVIS'S LEGACY! 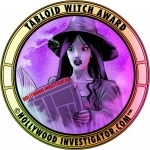 If you have information about The King's stolen pipes or pipe case, please email us at editor at hollywoodinvestigator dot com, or contact the Investigator at PO Box 1903, Santa Monica, CA, 90406, and we will pass your tips on to proper authorities. Requests for strictest confidence respected. Tell Us What YOU Think! -- On Our Message Board!